For anyone who’s a sucker for small details. During the intro to Watchmen, a young Night Owl foils an armed robbery outside of the Gotham Opera House. Can you think of a notable Gotham City resident who loses his parents to an armed robbery after seeing the opera? 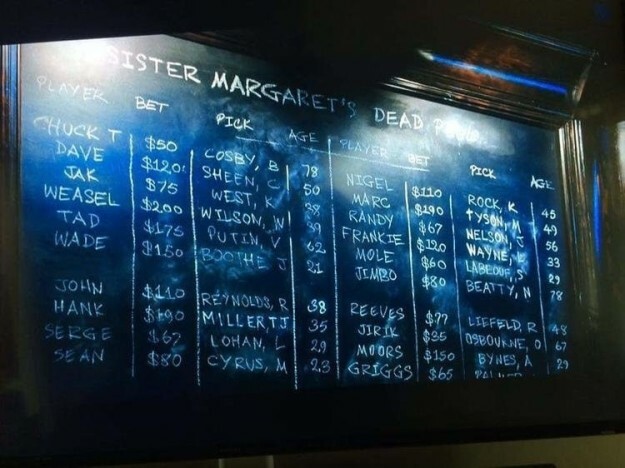 The dead pool board from Deadpool is made up of mostly celebrities, from Amanda Bynes to Vladimir Putin. 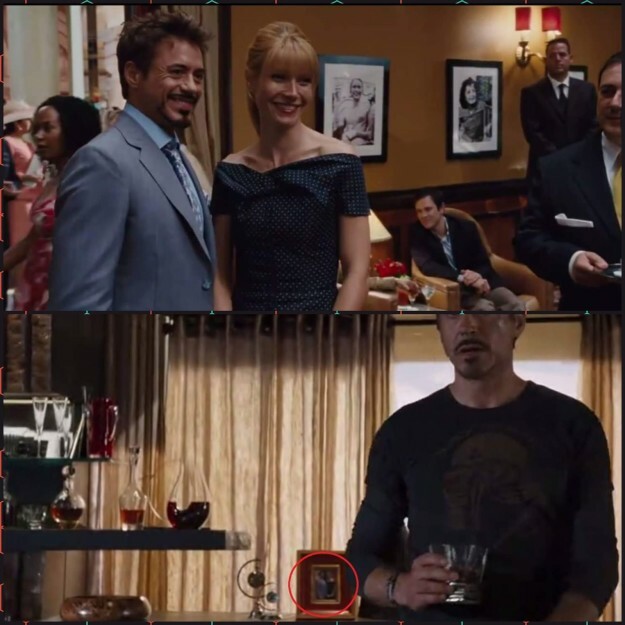 Tony and Pepper pose for a photo in Iron Man 2 that appears in a background shot in The Avengers. 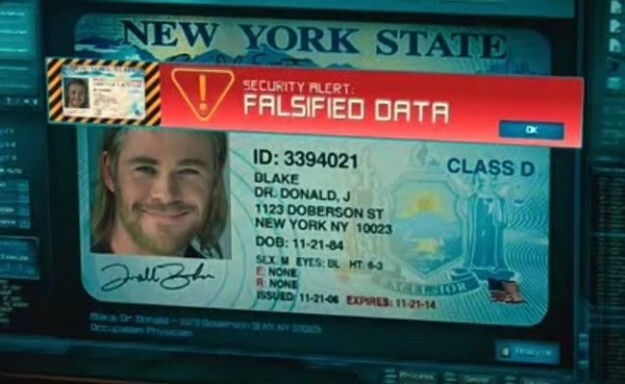 In Thor, Thor’s fake license is made out to a Dr. Donald J. Blake. In the comic books, Blake was created by Odin to serve as a human host for Thor’s spirit. The joker card that Jim Gordon hands to Batman at the end of Batman Begins was recovered by an officer named “J. Kerr,” a common alias used by the Joker. 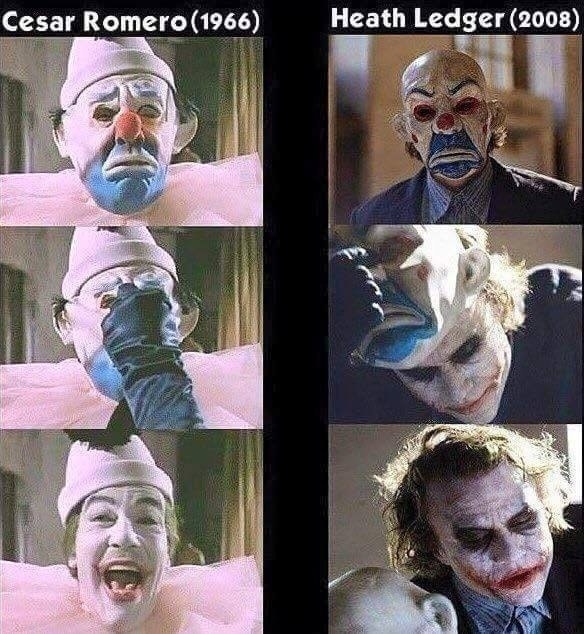 And speaking of the Joker, the mask he wears during the bank robbery at the beginning of The Dark Knight is a nod to Cesar Romero’s Joker, who wears an almost identical mask during his first appearance in Batman, the 1960s television series. 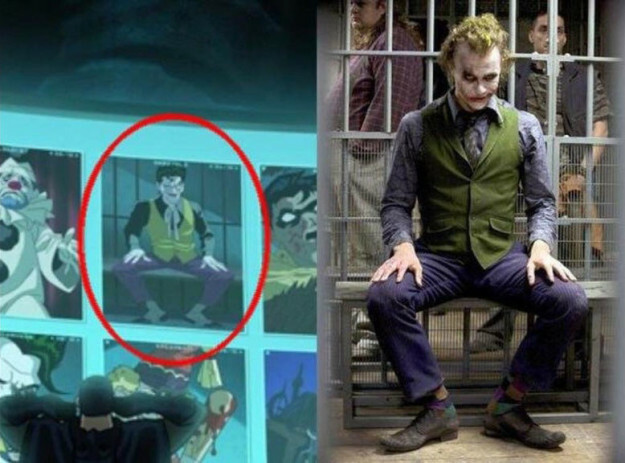 There’s also a reference to Heath Ledger’s Joker in the 2016 animated adaptation of The Killing Joke. 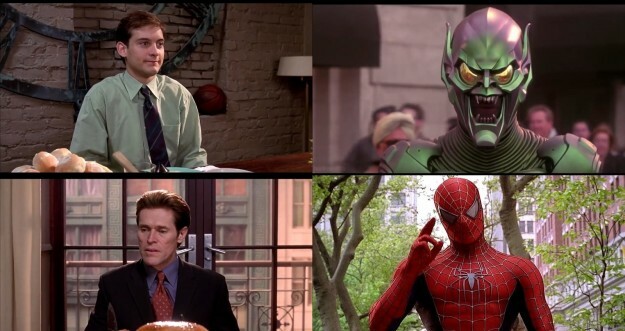 In Spider-Man 2, Peter does deliveries for Joe’s Pizza. 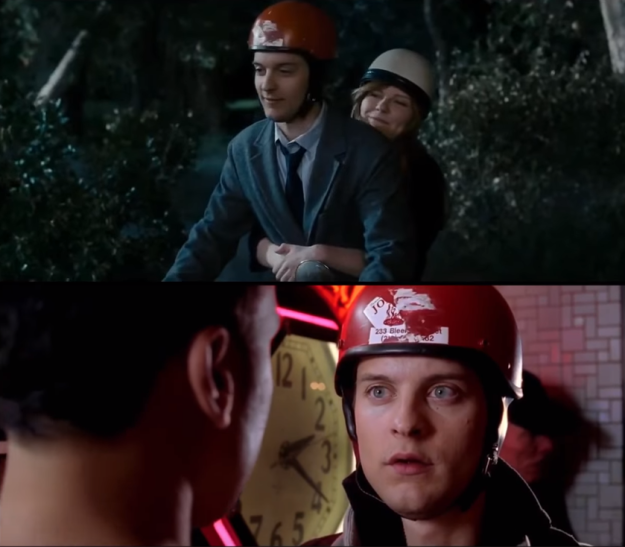 In Spider-Man 3, the Joe’s Pizza sticker is still visible on his helmet. 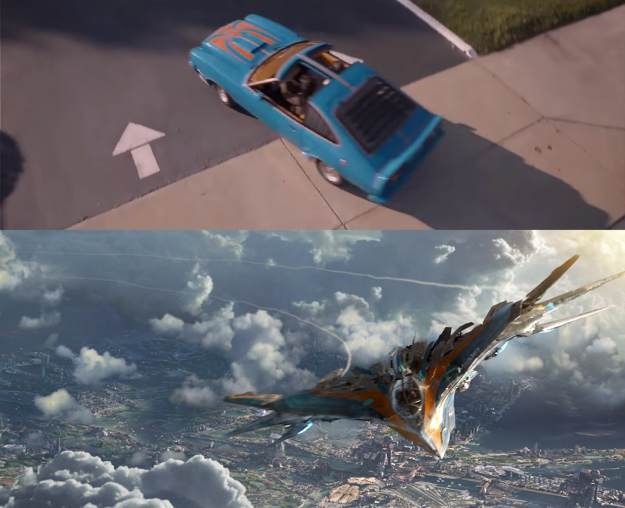 In Spider-Man: Homecoming, we get a glimpse of Aaron Davis’s license plate (UCS-M01). It’s a reference to Ultimate Comics Spider-Man #01 — AKA Miles Morales’s introduction as Spider-Man. A wound that Bruce Wayne is stitching up in The Dark Knight is visible as a scar in The Dark Knight Rises. 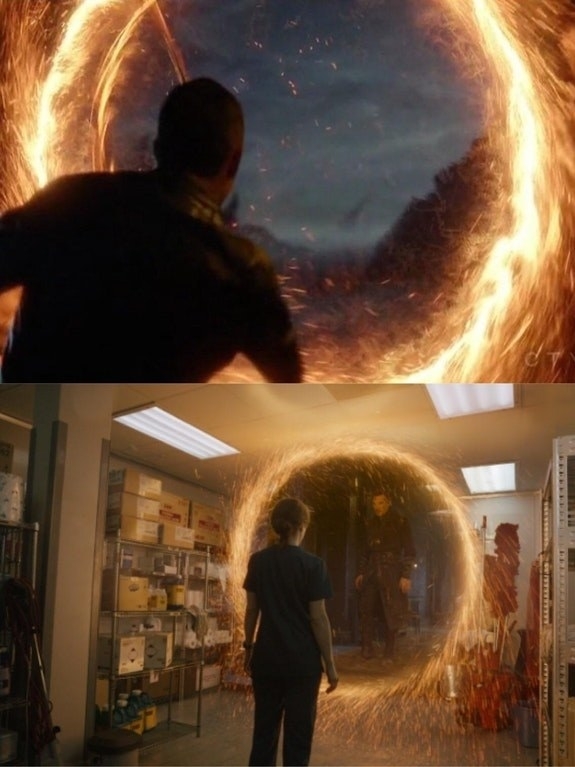 The portals in Agents of Shield are identical to those that are opened up by Stephen Strange in Doctor Strange. 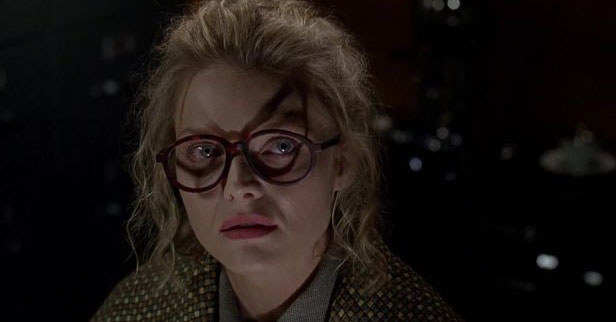 The shadow cast by Selina Kyle’s glasses in Batman Returns foreshadows her transformation into Catwoman. 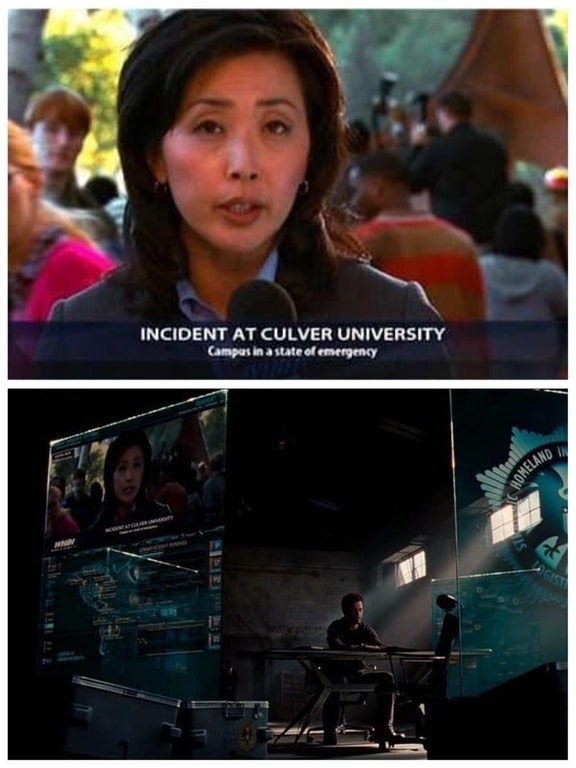 This news report from The Incredible Hulk appears on one of Tony Stark’s screens in Iron Man 2. In Spider-Man 2, Peter said he needs “strong focus” before falling and landing on a Ford Focus. Ego’s car in Guardians of the Galaxy Vol. 2 shares the same color scheme as Peter’s ship. In X-Men: First Class, Mystique attempts to seduce Magneto. He tells her, “maybe in a few years.” She responds by shapeshifting into Rebecca Romijn (her older self), who plays Mystique in the first three movies. 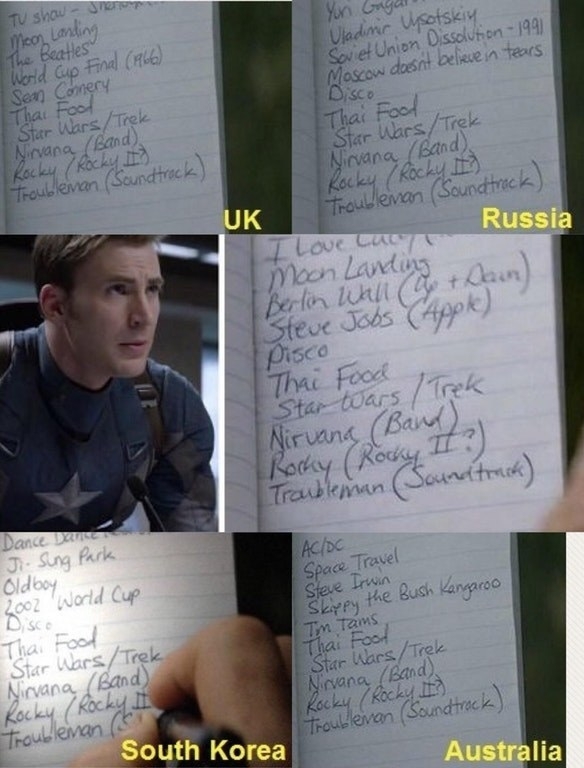 In Captain America: Winter Soldier, Steven Rogers’ to-do list will slightly differ depending on which regional release you’re watching. 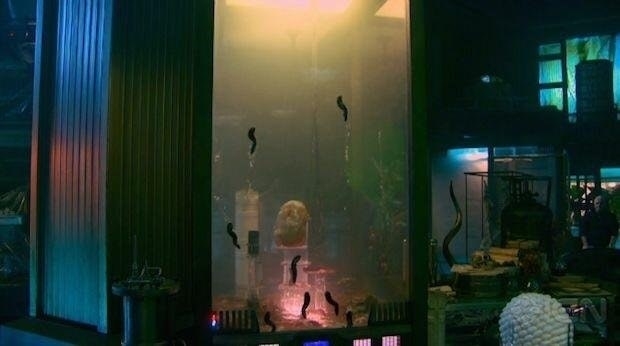 This tank filled with alien slugs located in the Collector’s Museum in Guardians of the Galaxy looks suspiciously similar to the alien slugs from Director James Gunn’s first film, Slither. These two scenes of Alfred approaching a mourning Bruce Wayne in Batman Begins and The Dark Knight, respectively, mirror one another. 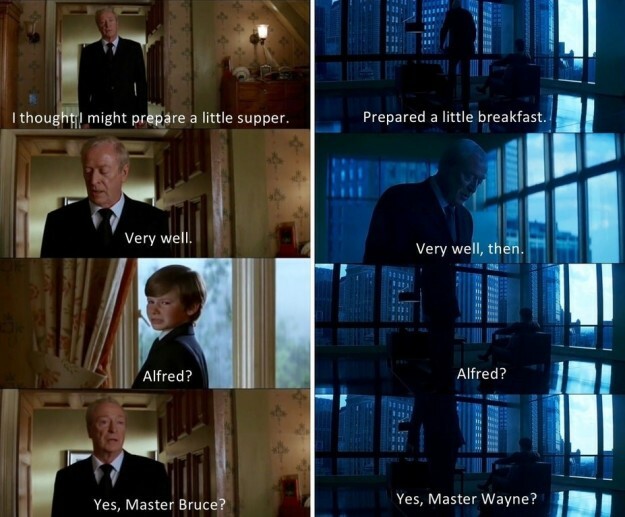 In both scenes, Bruce blames himself, and in both scenes Alfred comforts him. In Spider-Man, when Peter goes to the Osborn’s for Thanksgiving dinner, Peter and Norman are wearing each other’s alter-ego’s colors. During this scene in Guardians of the Galaxy, a translator implant is listed as an enhancement under Peter Quill’s profile. This would explain why he’s able to communicate with every alien in the universe.